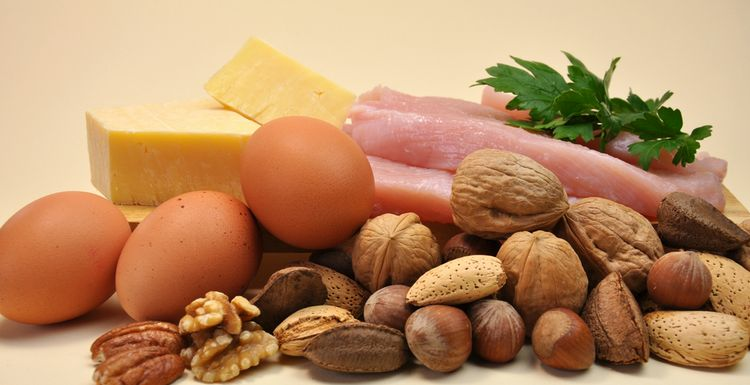 Protein is one of the elements of your diet which ensures you stay healthy. High levels of protein have always been recommended for fitness fanatics, athletes and bodybuilders but higher protein diets are also regularly recommended by fad diets. Do we actually need all that protein though and, more importantly, is it safe to eat so much? People are eating more and more protein because of the belief it is key to both fat loss and muscle buildings but there is a fine line between too much and not enough. Why do our bodies need protein? Protein is almost everywhere in your body. There are more than 10,000 proteins in each man and woman and every one of them is essential for your body’s growth and repair. Protein is made from the body’s amino acids and essential amino acids are also found in food. Animal protein such as most meat will provide all the amino acid the body needs. Of course if you don’t eat meat then you need to look for other proteins such as quinoa and soya beans. UK health advice suggests we should eat 0.75g of protein for each kilogram of our weight. This is based on the Reference Nutrient Intake and works out as approximately 52.5g of protein for an average person weighing 70kg. Average figures suggest men should eat 55g of protein a day and women should eat 45g. Most people tend to eat a lot more and personal trainers often advocate trying to eat as much as 90-100g of protein for women who are regularly working out. Eating up to twice the RNI for protein is considered fine but much more than that, unless your activity levels are extremely high or intense, is not recommended as too much protein can harm your kidneys. Milk: dairy foods combine great levels of protein with high levels of bone-healthy calcium. Chocolate milk is known as the perfect recovery food after a workout, as it combines both slow and fast release proteins. Fish and Seafood: these healthy foods offer both good protein levels and are also low in fat which is always a bonus. Pistachio Nuts: whilst all nuts are a good source of protein, around 30 pistachio nuts will provide you with a huge 6g of protein as well as sodium and potassium which your body loses as you work out. Pork: pork is a great choice for high quality brached-chain amino acids as well as proteins. These amino acids are essential for muscle recovery and leucine which is found in high levels in pork helps to stimulate repair after exercise. Chicken and turkey: when choosing your animal protein, it is best to opt for lean, white meat such as chicken and turkey. You get the high levels of protein without a huge cholesterol hit and high levels of saturated fat. The amount of protein you eat depends both on your weight and on your exercise level. Although the amount of protein you actually need isn't that much, if you enjoy protein-rich foods, there seems to be no reason not to continue enjoying them in moderation, especially if you are working out regularly. Hi Matt, quorn is a complete protein, but I don't think it's as good as meat. Simply put, it's not natural and I am a big believer in not messing with food. Saying that, it's probably fine to exchange it for red meat every few meals if you want to cut down your meat intake. As a vegetarian, I eat lots of quorn. Is this a good protein source too? it is interesting that too much protein is actually harmful in ways other than putting on weight. I enjoy my chicken breasts and eggs but as always, it's all about moderation. Happy to see pistachio nuts on there. I often nibble them in the evening though so not sure if that helps my muscles at all from working out earlier in the day. I also love a chocolate milkshake after a workout. I heard that you dont need any where near as much protein as you think - just a small amount like a fist is enough, we eat way too much protein and don't really even need animal protein. Vegetarians get plenty from nuts and pulses.